Culture-based fisheries (CBF) increases the supply of fish for food in rural communities and helps alleviate poverty by providing additional income to rural farmers through sale of harvested fish. CBF requires stocking and recapture of fish in small water bodies, which are often managed by the surrounding community. The harvested fish provide a food source and income for local village farmers. Pa Phia (Labeo [syn. Morulius] chrysophekadion) is a much desired indigenous species of Lao PDR. Due to its popularity, the species has been selected to support CBF in the region. 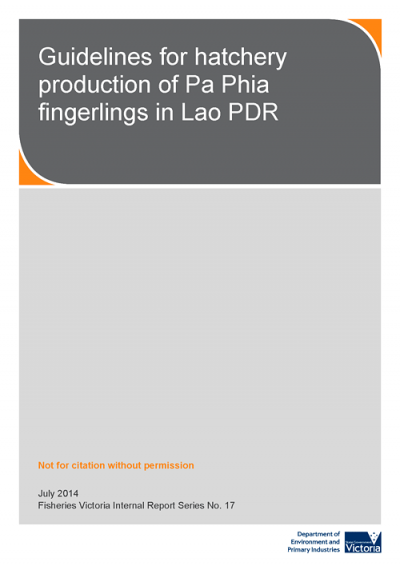 The objective of this manual was to provide basic guidelines for the hatchery production of Pa Phia fingerlings. This manual drew on published information on Pa Phia; results of artificial propagation trials conducted on Pa Phia during two projects funded by the Australian Centre for International Agricultural Research (ACIAR) (Project No. FIS/2005/078 and FIS/2011/013), and the experiences of technicians at two government hatcheries. 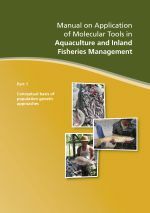 This manual provides information on managing and spawning broodstock, genetic guidelines, egg incubation, hatching larviculture and fry rearing. Although the guidelines were specifically developed for production of Pa Phia at government hatcheries in the Lao PDR, they may be applied to other, related, species that are produced in hatcheries for stocking purposes, and could be adopted and commercialised by the private sector hatcheries in the region.